The Oro Bridges Reconstruction Project is set to be completed this month with the opening of Papua New Guinea’s longest two lane bridge at 285 metres at Kumusi. 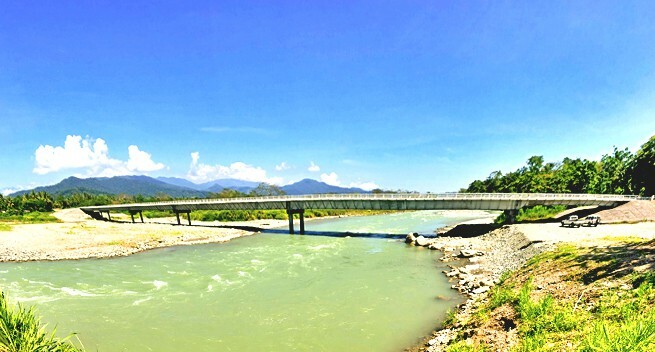 The project to restore four bridges destroyed by Cyclone Guba is a landmark achievement for the Department of Works and symbolises the strong economic and strategic partnership between Australia and Papua New Guinea. Australia has provided K139 million to complete this milestone project. The four bridges at Eroro, Girua, Ambogo and Kumusi connect the people and businesses of the province. Upon completion of this project there will be no wet crossings between the coast at Oro Bay to the Kumusi River. The Works Minister, Hon Francis Awesa, was pleased to see the project completed on time and on budget. The Minister was also pleased to note that the Department’s engineers had developed many technical skills during the delivery of the project. The new bridges are built to withstand future cyclones and the impacts of climate change. Australian High Commissioner to Papua New Guinea, Bruce Davis, said the new bridges are symbolic of the strong and growing economic partnership between Australia and Papua New Guinea. “Our two nations have a long history together and a very bright future with many shared goals. Our strategic partnership with Papua New Guinea in the transport sector is central to this. The Kumusi Bridge will be officially opened on 23 November. Bridges at Eroro, Girua and Ambogo were opened in August of this year.